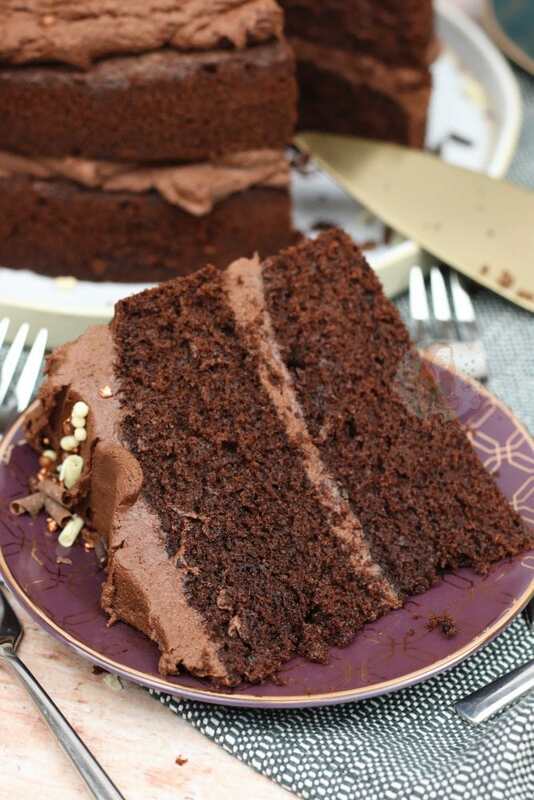 A Simple, Easy and Delicious Chocolate Cake with Easy Chocolate Buttercream Frosting! 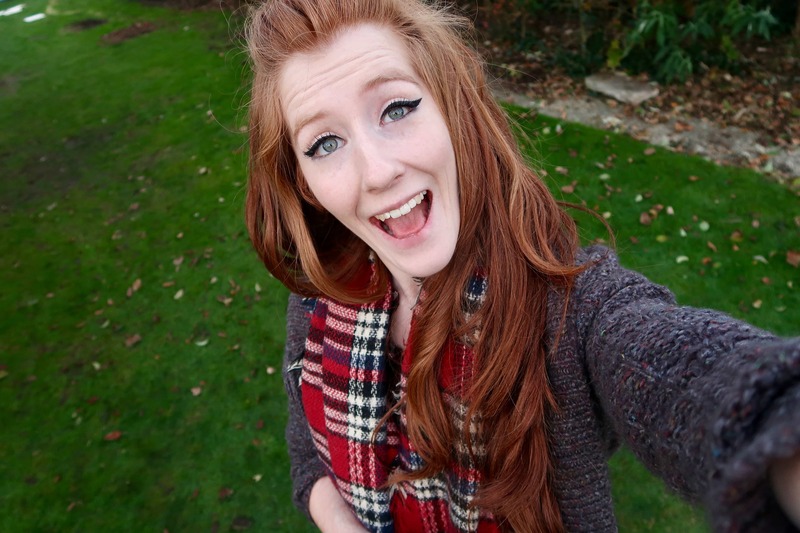 The third instalment in my Back to Basics series! 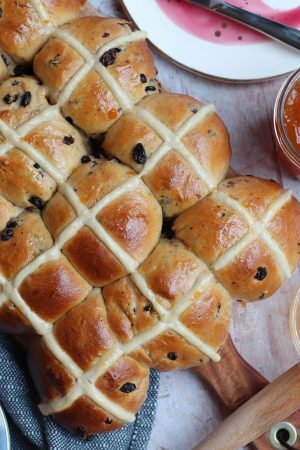 So, recently (I say recently, it was like August time it started) I decided to start a ‘Back to Basics’ series on my blog because as much as I bake all these recipes, and usually, post two a week, they aren’t the most basic. Even down to the flavouring, they aren’t the most basic. I’m not talking about dumbing down recipes or anything like that, as I like to make mine as easy to follow as possible for anyone of any skill level, but more like posting the recipes that most of my other recipes are based on. I’m not saying all my recipes ever are based on those from the Back to Basics series, but more because I thought I would cover all bases to help you guys out! The first in my series of ‘Back to Basics’ was my No-Bake Vanilla Cheesecake. I had over SIXTY Cheesecake recipes on my blog by the time I posted a delicious, but basic, Vanilla Cheesecake. It was something that is technically in all of the recipes already on my blog, but the number of people that had been searching for one of my blog every day astounded me. The second in my series of ‘Back to Basics’, was my Triple Chocolate Brownies. Similarly to my Cheesecakes, but not to the same quantity, I had basically used the same recipe quite a few times, but always put extras in such as Biscoff, or Terry’s Chocolate Orange. 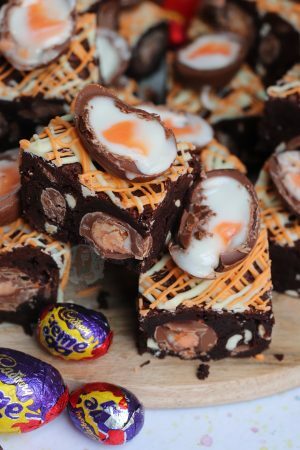 The reactions to both of these recipes were really quite astounding! I genuinely never thought they’d be so popular, but they still are now after months of posting! 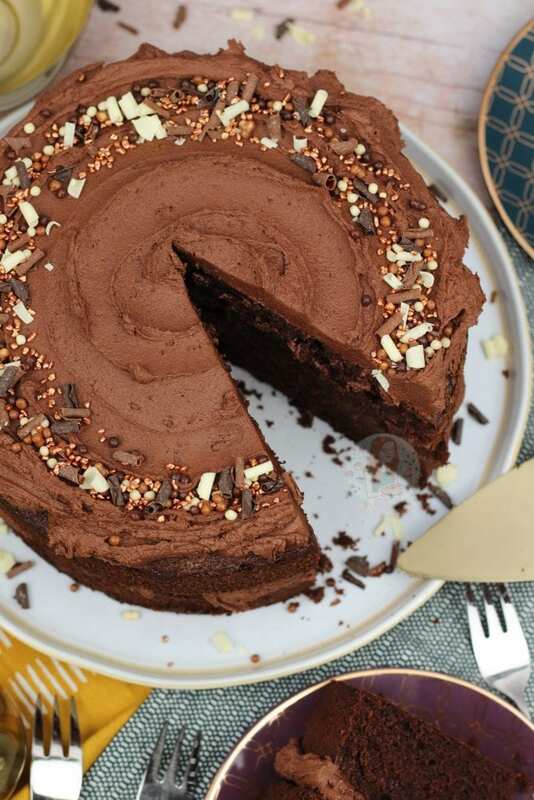 So, for the third instalment in the series, I thought I would cover one of the most delicious treats that have ever existed, the Chocolate Cake. 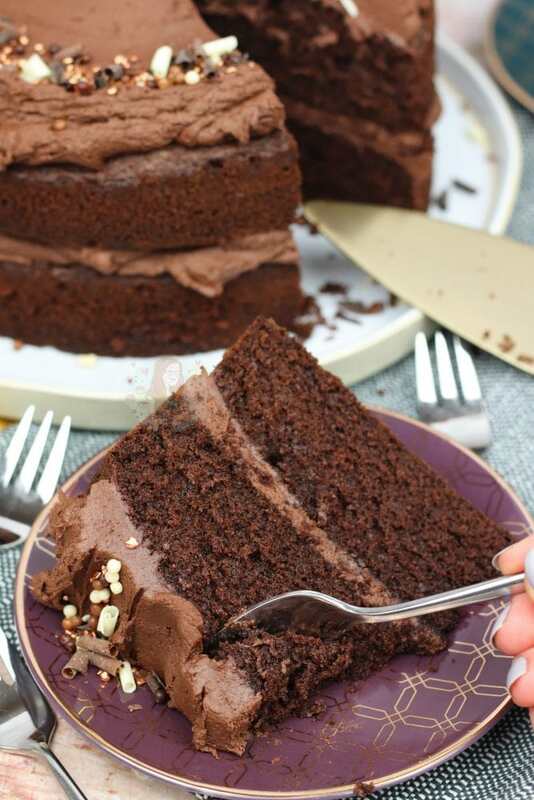 Some of you may think “but you already have a Chocolate Cake recipe”, and I do… with my Chocolate Fudge Cake, but that’s more an American style recipe and its super gooey, and utterly scrumptious, but definitely requires more ingredients and effort. 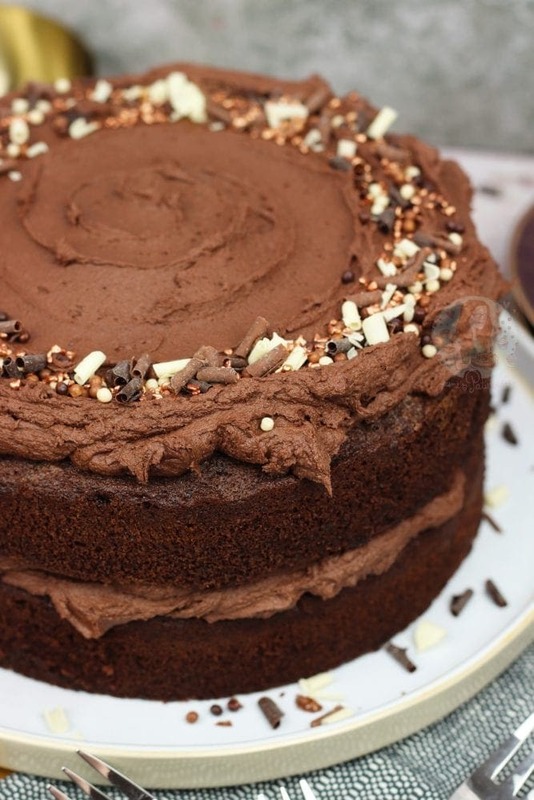 This beauty is basically a Chocolate Victoria Sponge. 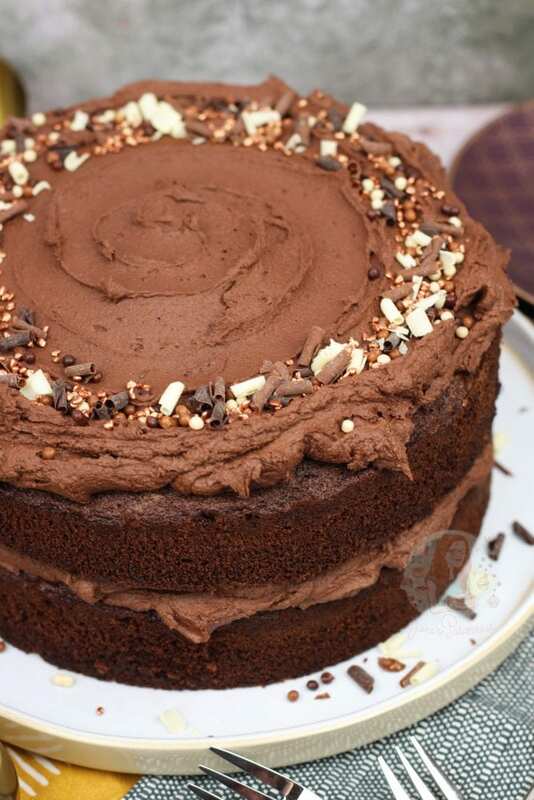 The only difference to the recipe from a classic Victoria sponge is that you remove some quantity of flour, and replace that quantity with cocoa powder. 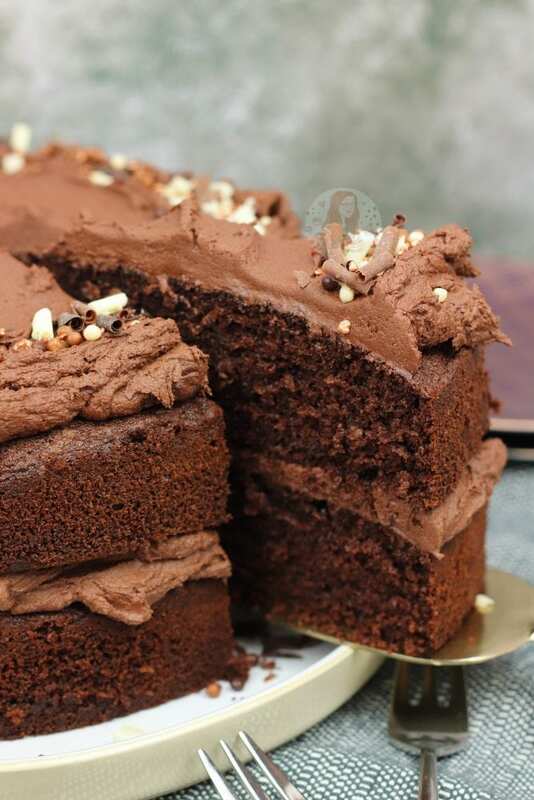 It’s still based on the idea that you have equal quantities of Flour, Eggs, Butter and Sugar, which is the base of practically most cakes on this blog, but some of the dry becomes the chocolate. 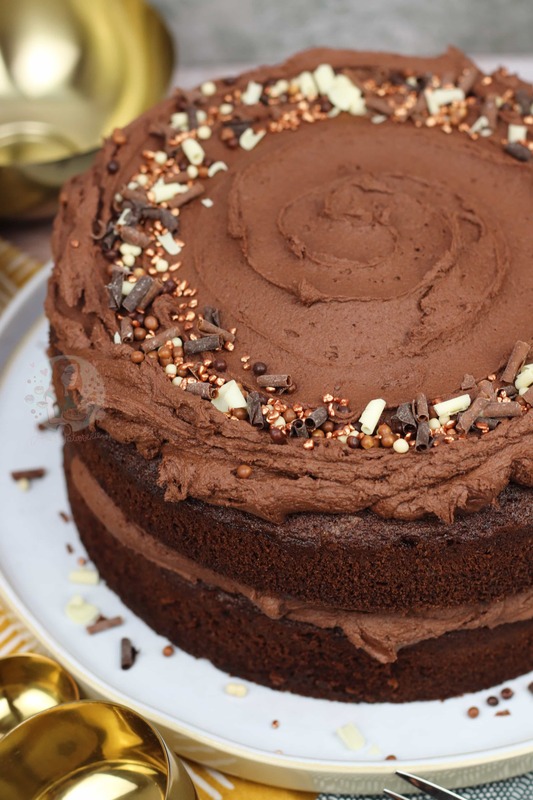 If your oven is definitely at the correct temperature, which most ovens technically aren’t, and you mix the ingredients in the right way, to the correct quantities, there is no reason that this cake should ever fail. With The Great British Bake Off, they apparently test all of the contestant’s ovens every day, by baking a Victoria sponge, and theoretically, they should all come out identical if the ovens work. There isn’t too much more to explain about the cake itself, but be accurate when weighing it out. Also, if your bakes never tend to work properly, no matter the recipe, invest in an oven thermometer as it may save it all. In my rented house that I lived in last year, it was FIFTY degrees out. FIFTY. We ended up having to buy a new oven and swap it whilst we lived there as the landlord didn’t understand the significance of this. 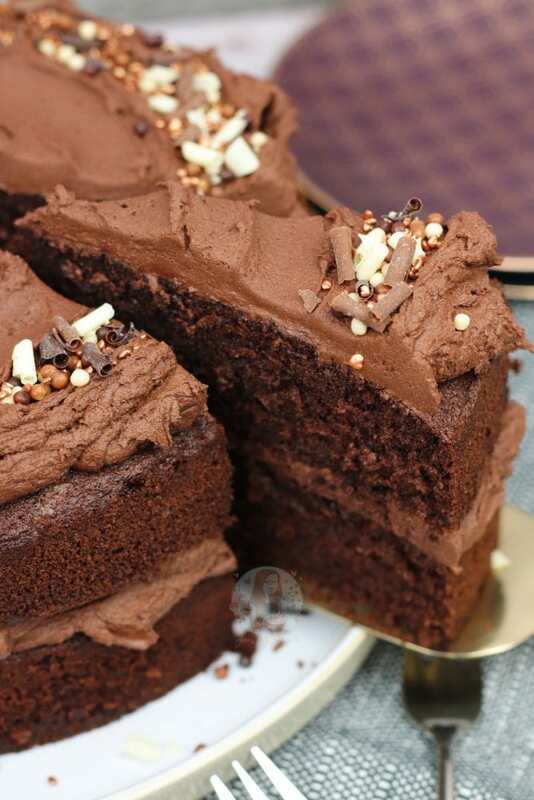 For the Chocolate Buttercream, it’s quite a simple one. You MUST use ACTUAL UNSALTED BUTTER. I mean the kind you find in foil, and that when its fridge cold, is solid. You can use a spread for the cake, but NOT for the buttercream. I might get a few smart arse comments about this as to ‘why not’ but if you want a stable buttercream, that will last no matter the heat outside, use actual unsalted butter. 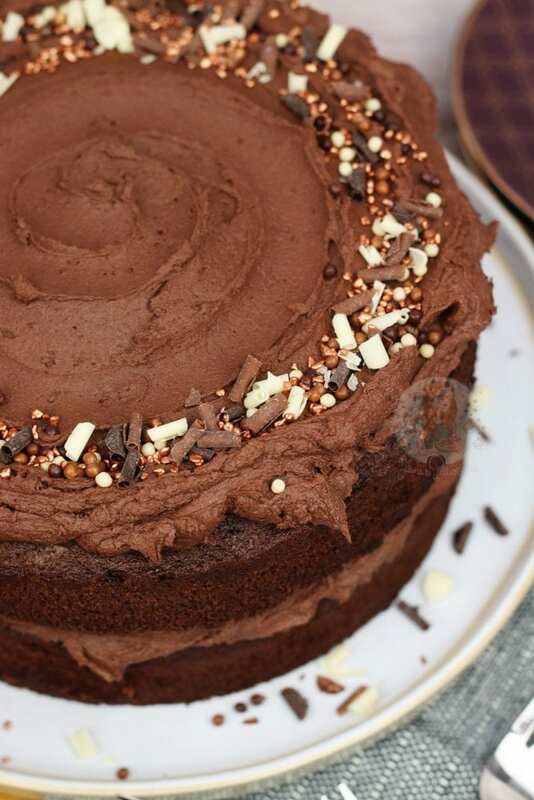 If its peak summer, and there is a heatwave, you won’t need to add any liquid to the buttercream. Technically, you don’t have to at all if you really do beat your buttercream well enough, but I actually like mine a smidge softer so its easier to pipe, so I usually add between one and two tablespoons of boiling water to smooth it out. But, if the weather is so hot you don’t even want the oven on, this won’t be necessary. 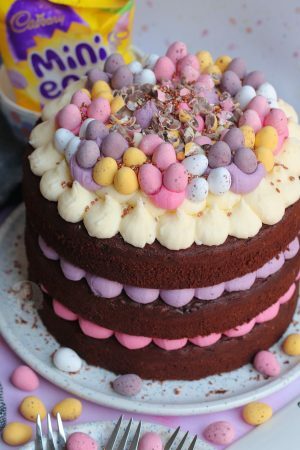 All in all, I have used this recipe technically loads of times on my blog, in my Oreo Drip Cake for example, but never done a post on a simple Chocolate Cake before. I personally, prefer using Light Brown Sugar in the sponge because I like the flavour, but either that, Caster sugar, or Golden Caster Sugar would work perfectly fine. 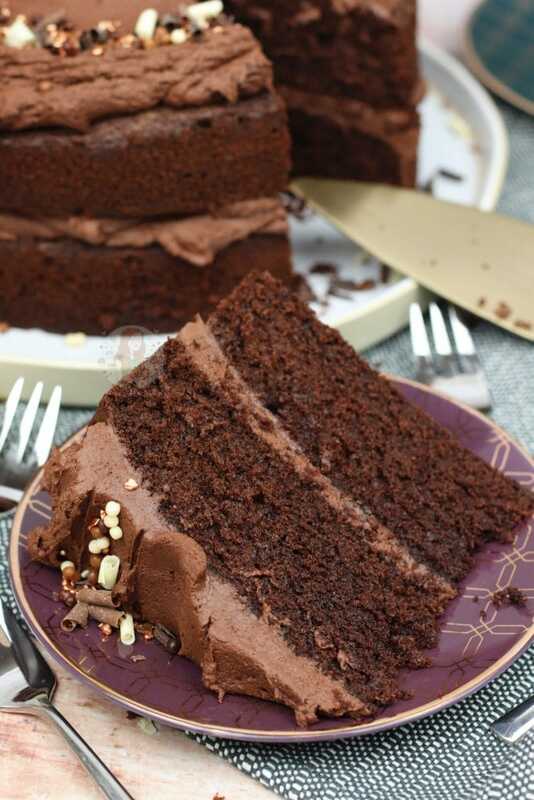 A Simple, Easy and Delicious Chocolate Cake with Easy Chocolate Buttercream Frosting. Preheat your oven to 180C/160C Fan, and line two 8" cake tins with parchment paper. Add in the Flour, Cocoa Powder and Eggs, and beat again till combined. Split evenly between the two tins, and bake in the oven for 28-32 minutes. Sometimes it can take a little longer - don't open before 25 minutes, and be as quick as you can checking with a skewer. Once baked, leave to cool in the tin for 10 minutes, and then transfer to a wire rack to cool fully. Make sure your butter is at room temperature. Don't use a spread such as margarine or stork. Beat your butter on its own for about a minute, to loosen it up. Add in the Icing Sugar gradually, beating in during or in 1/3 at a time. Don't add it all in at once. Also, add in the Cocoa Powder, beating in fully. If it's really very stiff, add in ONE tablespoon of boiling water at a time, beating fully each time, until it becomes smooth and lovely. Place your first sponge on a plate/cake board, and pipe/spread on half of the buttercream frosting. Add on the second cake, and pipe/spread on the rest of the buttercream. Add on anything you fancy as decoration, I used sprinkles. Enjoy! This cake will last at room temperature (not in the fridge as it will go hard) for three days. I use a cake tin, or a cake box to store it. 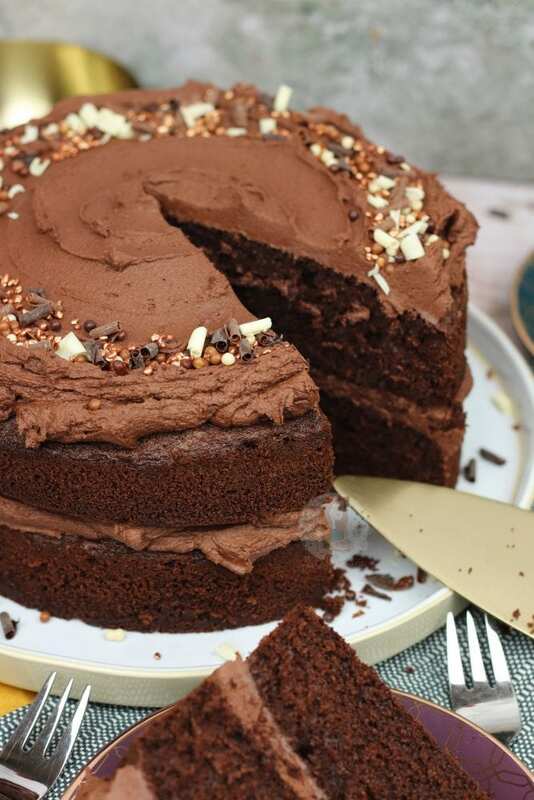 You can use dark chocolate in place of the cocoa powder if you wish - use 100g for the sponge, and 100g for the buttercream. 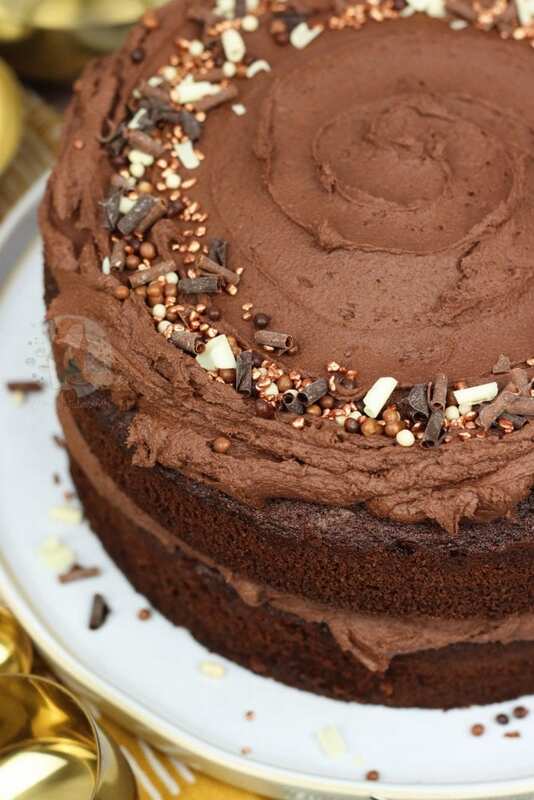 If your cake isn't baked fully, your oven might be at the wrong temperature, or it wasn't mixed correctly. Keep it in, till a skewer comes out clean, and it's springy to touch. Newer Previous post: Tear & Share Christmas Tree Cupcakes! Just wanted to ask what the difference would be if next time I used light brown sugar instead of caster sugar? Just add another 1/2 on top, and an extra tin – baking times will stay the same! 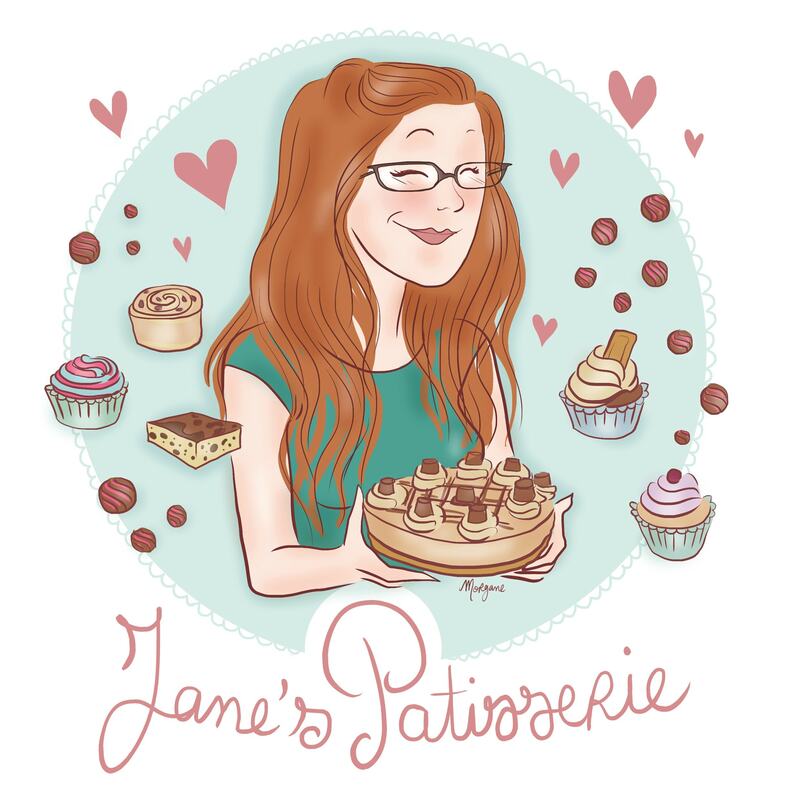 Hi Jane- I made this yesterday- it was so straightforward and looks amazing! My daughter and I are going to have a piece later- it would be rude not to! Thank you for this recipe- your other recipes are fantastic as well but it’s nice to go back to basics once in a while!!! 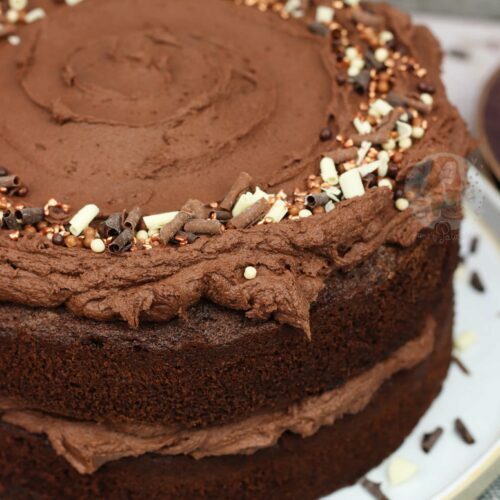 Could I add some espresso into the cake mix to give the cake a richer flavour? Hey I was wondering if I could bake this cake mix all in one 9” cake tin and split the cake in half after it has cooled down before icing? I have no idea how deep the cake will be – but theoretically for a 9″ tin you need to use 1.3″ the recipe. Could I make this is 7” tins?